Vremi 15-Piece Nonstick Cookware Set Just $45.99! Down From $90! PLUS FREE Shipping! You are here: Home / Great Deals / Amazon Deals / Vremi 15-Piece Nonstick Cookware Set Just $45.99! Down From $90! PLUS FREE Shipping! Looking for a cookware gift set? Hop over to Amazon and check out this awesome Vremi 15-Piece Nonstick Cookware Set for just $45.99 down from $89.99 PLUS FREE shipping! This cookware set has everything you need! 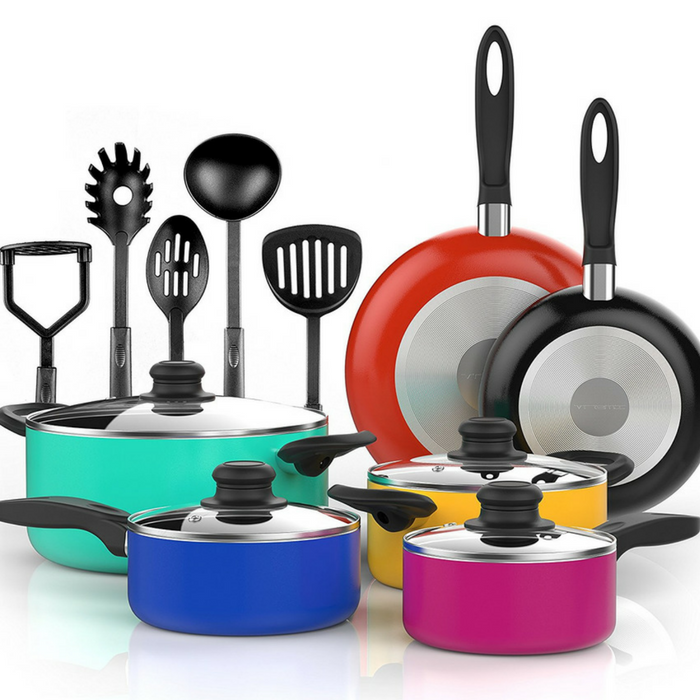 It includes pots and pans which also includes 5 heat resistant nonstick cooking utensils in black BPA free nylon. It’s a great addition to your cookware collection or a perfect Christmas present to someone who loves cooking! I’m sure they would love it!